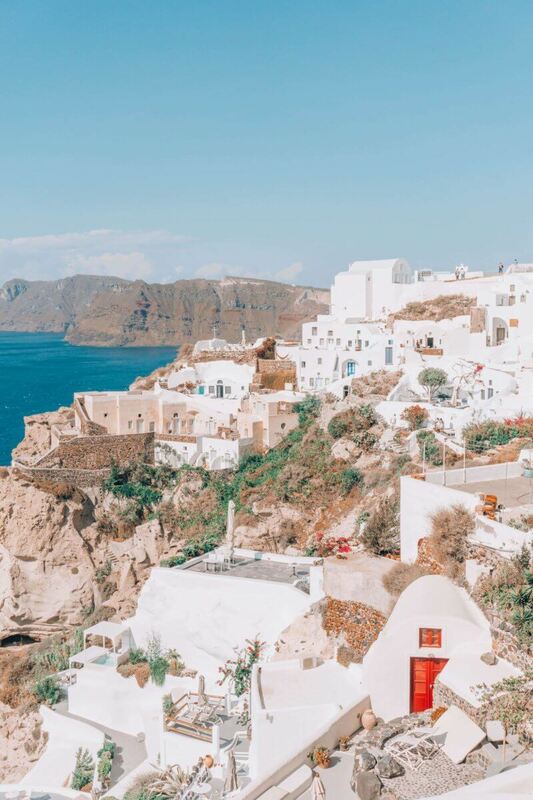 Is Santorini still worth visiting? Let's find out right now! Is Santorini Still Worth Visiting? Let’s Find Out Now! Beautiful island in the sun. Crispy clean white houses build on the cliffs with the most stunning turquoise rooftops ever. Santorini is an island you just have to see. With every Instagrammer flocking to the island of Santorini making the most amazing pics turning it into the next Marrakech. It all just looks amazing, doesn't it? Or is there something they are not telling you. So the big question is? 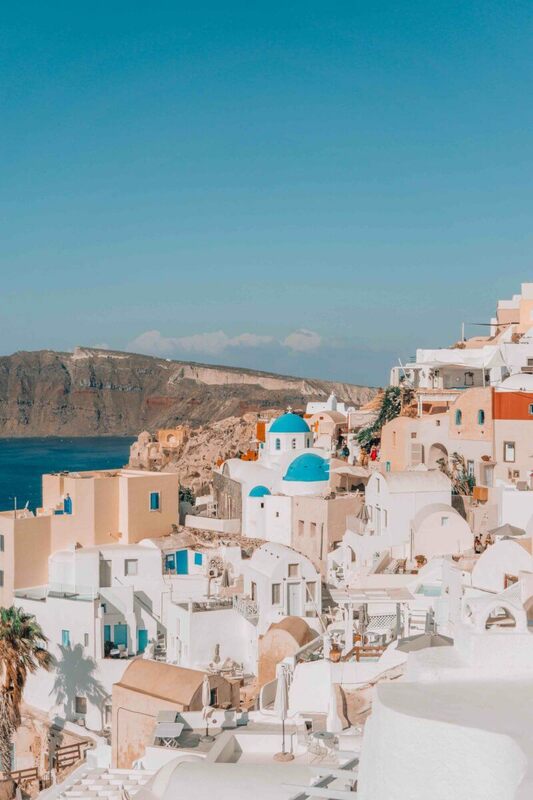 Is Santorini still worth visiting? Is it really as beautiful as in the pictures or all these pictures just made a 5am in the morning. There is only one way to find out so I hopped on a plane myself to find out. Yes, Santorini is as beautiful as you see in the pictures. I have never made so many pictures in those three days as I was on the island. Places like Oía with its stunning sunsets, the romantic city of Imerovigly where time simply doesn't exist or the volcano beaches of Kamari with its boulevard and countless restaurants. It's all there. This was my first solo trip in a long time but I never felt uncomfortable or uneasy. The Santorini people are super friendly, helpful and proud of their island. Greek food is delicious so forget about your diet and indulge. Santorini is popular. Very popular especially for cruise ships. In high season it's not uncommon for 6 huge ships to dock the harbour or Fira. This means that thousands of tourist flock the island at the same time. The city of Fira almost drowns under the number of cruise tourists. The sunsets at Santorini are world famous and most people go to Oía in the north where you have an amazing view from the Caldera. And maybe that's the problem. Everybody on the island wants to go to Oía to see the sunset, which makes it much less fun and even hard to walk around. Santorini is in high demand and prices for hotels can easily go up to 700$ a night. Takes away some of the fun doesn't it. Sleeping in Oía will hurt your credit card. Better to opt for Imerovigly or Firostefani. Take an early morning walk from Imerovigly to Fira. The route is stunning. If you are a more skilled walker you can also take the route from Fira to Imerovigly, but then you have walk the whole way up which can be harder in the summer heat. I did the route on my flip flops but wearing sneakers is a more comfortable choice of course. Hotels on Santorini are expensive. Try to book well in advance. The city of Oía is stunning but the prices are crazy. Fira is the centre of the island but also very crowded. Imerovigly (romantic) or Firostefani are better options. Or take a few relaxing days at Kamari. So, is Santorini still worth visiting? Yes absolutely. But timing is everything. Simply avoid high season and be prepared to start the day early if you want to take the best pictures. I'm going back for sure! 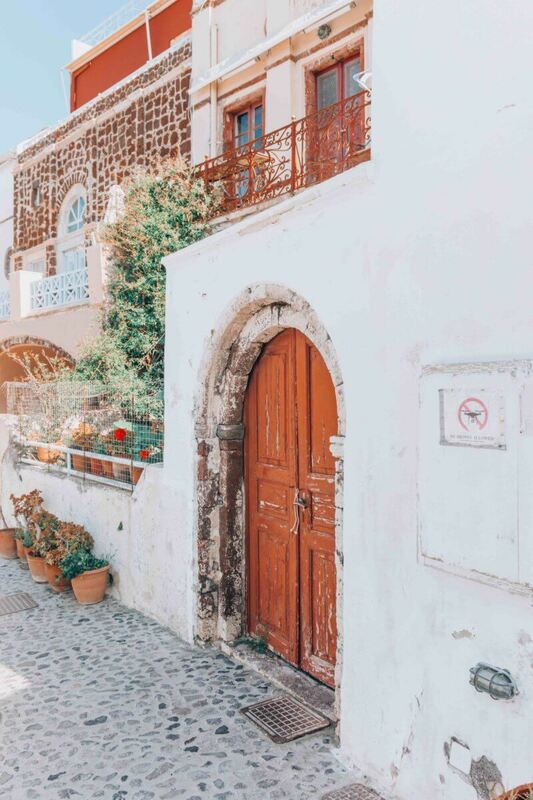 ps: don't forget to sign up for my weekly newsletter for more Santorini!